Application: Particularly good action is applied to soft metals such as aluminum, brass and others. This disc has a winding / lowering system with the help of a male threaded thread knob (TR) with spindle. This disc is made of an open web structure of nylon fibers impregnated with patented grain technology and a complex resin system. 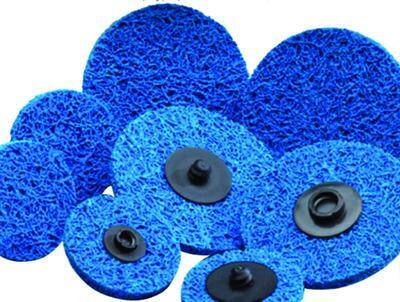 It is incredibly durable, can work on any kind of mixing and finishing applications.